You’ve heard of the expression slip slop slap which is usually referred to the good old Aussie sun but with the buzzing, biting and scratching which seems to be the norm with Sydneysiders experiencing the worse mosquito outbreak this summer it looks as though we need to take to the expression of that famous Aussie lingo and apply it so we reduce the risk of being bitten alive by those pesky Mosquitoes. With Sydney having a very warm spring and summer starting off with a lot of rain makes it ideal for mosquitoes to breed. Even though Mosquitoes often bite at dawn to night they are known to also sink their Proboscis (mouthpiece almost like an elongated snout) in to our skin for feeding. We often don’t feel the actual bite itself but rather the itching and localised swelling afterwards. Unfortunately Mosquitoes can carry a range of human viruses and diseases such as Dengue fever, Yellow Fever, Malaria, Murray Valley Encephalitis, Ross River Virus, Kunjin Virus, Barmah Forest Virus and many more. With over 30 species of Mosquitoes here in Sydney it is vital for us to try an eliminate water sources which is around our home. 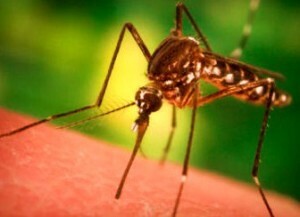 If you have areas where there is stagnant water such as pets drinking bowels, pot plant saucers, non-draining gutters, tarps, bird baths etc you will need to tip the water out on a daily basis and refill as when the mosquitoes lay their eggs in these areas and it will take roughly about 10 days for the larvae to hatch and turn into adult Mosquitoes. 1. Head – The head is where the Mosquitoes sensory system is located. The Mosquito eyes are compounded, antennae’s and the Mosquitoes proboscis which is their elongated snout which is used for biting into flesh. 2. Thorax – The thorax is the segment where the mosquito’s heart, legs and wings are attached to. 3. Abdomen – This segment is where the excretory organs and digestive system lie. Here is 10 ways you can prevent Mosquitoes in Sydney from entering your premises. 1. Make sure that all windows have fly screens. 2. Any doors have fly screens and kept closed. 3. Burning citronella has its benefits as the strong smell mask any attractions the Mosquito has in finding you. 4. Plant marigolds, horsemint, ageratum, lavender, basil, lemon thyme and catnip as they have a potent smell which repels Mosquitoes. 5. Buy repellent sprays or roll ons from any good camping or supermarket stores. 6. In an oil burner put oil of lemon eucalyptus as this will ward of Mosquitoes. 7. Mosquitoes are attracted to dark and bright colours, try wearing colours which are softer or dull colours. 8. Put a Mosquito net over your bed when you sleep at night draw the net around you. 9. Eliminate any water source in and around your home as this will attract the Mosquitoes. 10. Garlic oil diluted with water, spray on your grass after you have had rain, spray around any fountains you have on your property and you can even spray yourself if you don’t mind the smell.